An argument over “whether ‘Star Wars’ or ‘Star Trek’ was a better movie” turned violent Saturday afternoon when an Oklahoma man shoved his roommate to the ground and began choking the male victim, police allege. 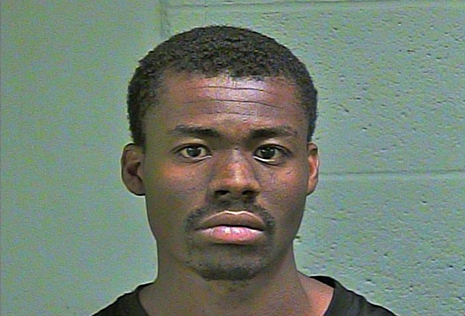 According to an Oklahoma City Police Department report, the cinematic dispute resulted in the arrest of Jerome Dewayne Whyte, 23, for the assault of Burke Bradley Warren, 19. Since police judged Whyte to be the “aggressor in this altercation,” he was arrested for assault and battery. He was also charged with marijuana possession. A post-arrest computer check revealed that Whyte had outstanding arrest warrants in connection with prior convictions for passing bad checks and child abuse. In both of those cases, Whyte failed to pay fines and restitution ordered at the time of his sentencing. It is unknown which film Whyte, seen in the above mug shot, believed to be superior. Whyte is currently locked up in the Oklahoma County jail.